Last ski season, Vermont's Bromley ski resort, winner of the 2017 Energy Leadership award, installed low-energy snowmaking guns to optimize snow production while reducing energy waste. The new low-energy guns can operate at 10 cents per hour, compared to older versions' $10 per hour. The big picture: The ski industry is increasingly embracing new innovations in energy-efficient technology — combined with existing technologies such as wind and solar energy and LED lighting — to reduce its carbon footprint and improve its bottom line. Ski resorts consume a great deal of energy during peak seasons to operate chair lifts, make snow and power vehicles and on-site lighting. Using renewables allows ski resorts to reallocate utilities funds for other amenities. Background: Berkshire East ski resort, a family-owned ski area in western Massachusetts, became the only ski area in the world to generate 100% of its electricity on-site in 2011. The resort uses a 900 kilowatt-hour wind turbine and an 1,800-panel, 500 kilowatt-hour solar farm. The sustainability efforts have helped stabilize the resort's electrical expenses for the next 30 years, along with an ROI within 5 years based on avoided costs. Several other ski resorts are planning to become more sustainable, and even to generate a large percentage of their energy on site. California's Squaw Valley is working with Tesla to install power banks to store solar power. 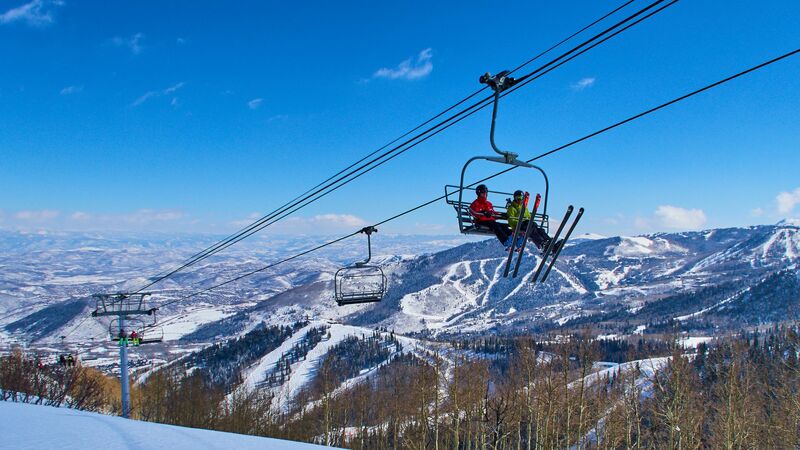 Park City, Utah, now offers free public transportation for skiers using biodiesel-driven buses. Vermont's Killington has installed solar trackers designed to track and move with the sun, along with rooftop solar arrays, to increase its solar output by up to 40%. Jiminy Peak, in western Massachusetts, installed a 1.5 megawatt turbine to produce nearly 33% of its electrical demand — and even more during high winds — equivalent to 75 million fewer car miles driven each year. What to watch: Roughly 75% of U.S. ski resorts have incorporated renewable programs, with many announcing commitments to transition to 100% clean and renewable energy in the next few years. More energy-efficient ski operations will help save on energy production and use while building a more eco-friendly brand.